Aberdeen Flowers offer a category of Top Rated by you so if you are unsure of what you want you can chose from this category to see what our other customers loved the most to make the decision a little easier. 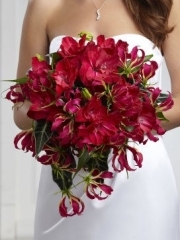 All of our designs feature beautiful flowers that will be sure to make any recipient smile. Aberdeen Flowers online is easy to order your flowers, choosing should be the hardest part because after you have placed your order you can relax and know that we will take care of the rest for you. Every detail will be carefully attended to here by our Florists Aberdeen who are passionate about flowers and put this passion into every order they complete. Of course at Flowers Aberdeen everything is made to order because we know just how special and personal a gift flowers are so we want to make sure that they are always fresh and beautiful. At Aberdeen Flowers we consider customer satisfaction our top priority at all times which is why we work so hard to bring you everything you need in the way of flowers. The flowers used by our Florists Aberdeen are always fresh because we import them directly to us several times a week to ensure their longevity so that your recipient’s home will be brightened up by your wonderful gift for as long as possible. Sometimes flowers are the ideal thing to give and for those occasions Flowers Aberdeen will always be here to provide you with the absolute best in gorgeous flowers to suit all tastes. There is such a wide range of flowers in all colours and varieties available here that our Florists Aberdeen are guaranteed to be able to find something you will love, whatever your reason for sending flowers and whatever your preferences in terms of colours and styles. Our friendly and helpful florists are able to make a bespoke order for you, if there is something in particular you have in mind you can give us a call or email us at Aberdeen Flowers. Aberdeen Flowers offer same day delivery too, as long as your order is with us before 3pm we will make sure that your order is delivered the same day. Florists Aberdeen can have your flowers delivered anywhere throughout the UK and in 140 other countries internationally so that you know you can always send lovely arrangements to your friends and family. Flowers Aberdeen always take care when delivering your flowers and gifts which we do personally in the North East of Scotland. We have 40 years of experience that means our Florists Aberdeen are always equipped to help you no matter the situation. 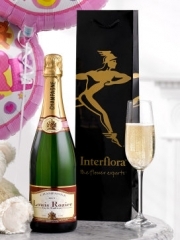 Along with your flowers you have the option to send gifts including champagnes, chocolates, balloons and teddies, which make a great complement to any bouquet or arrangement and can make sure that your recipient really feels special when they receive whatever you decide to send. At Flowers Aberdeen we want to make everything as easy as possible for you which is why we include this service since we know that it’s not always possible to go out and find presents when you’re busy for whatever reason. With the Florists Aberdeen service you are able to order flowers and gifts and know that from the moment your order is placed you can rely on us to take care of every detail until the moment your gifts reach their recipient. For any questions or queries you can always contact Flowers Aberdeen and there will be someone ready to help you with whatever you need. If you would prefer to place your order over the phone one of our Florists Aberdeen will be happy to help you do this.